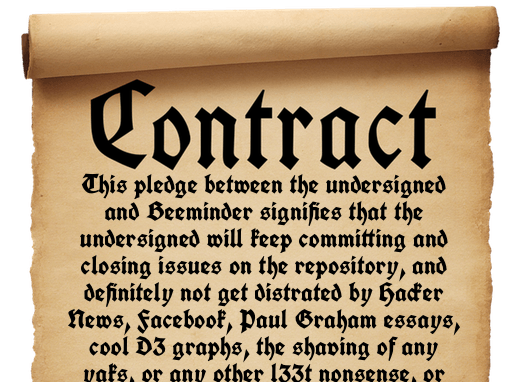 Make a pledge for how many commits or issues you want to close per week. Break your pledge once, shame on you. Break your pledge again, and you'll need to put your money where your mouth is. Beeminder will automatically track your progress and make sure you stay on the Yellow Brick Road you've set for yourself.